New York Stadium, New York Way. Rotherham. Thursdays Tai Chi & Kung Fu Class at: Broom Lane Methodist Church, Broom Lane, Rotherham. I began practising Lee style Tai Chi at a class in Rotherham in 1992, mainly to help reduce work related stress. I soon found that during the class I was able to forget all my ‘ worries’ and I came home feeling refreshed as well as calm and relaxed. I also found I had the best night’s sleep of the week after the class. After many years I decided I would like to be a qualified teacher. However, the organisation I was with at the time did not have a teacher training programme so I had to look elsewhere. I contacted Master Howard Gibbon and was accepted on his teacher training course in 2007. I completed the course in 2008 and I currently hold 4th Teng Tai Chi grade and also practice Feng Shou (Kung Fu). 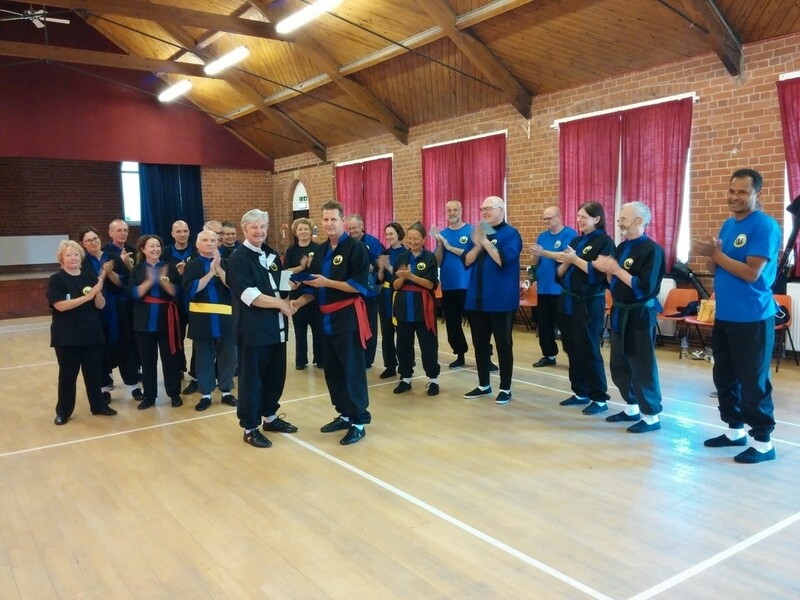 I feel honoured and privileged to train with Master Howard Gibbon and many of his senior instructors and students on a regular basis at the monthly classes in Scalby as well as the annual courses at Easter and summer. Due to Howard’s vast wealth of knowledge, experience and expertise and his generous and friendly nature the Arts we practise continue to intrigue and fascinate. There is always a deeper level of meaning to discover, understand and learn. Long may this journey continue.